Allow yourself to lead a more healthful lifestyle. Grasp on and squeeze out every ounce of happiness, vitality & success. 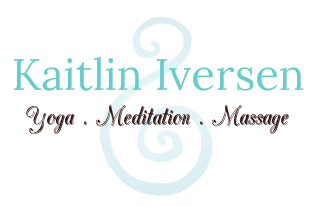 With years of experience consulting, Kaitlin can help you discover a more healthful lifestyle in your home, workplace & with your family. Sit down and envision your optimal everyday self or your desired success in your workplace. Kaitlin thrives on weaving these visions into reality. Allow yourself to be open to a more healthful lifestyle. ​A 60 minute one on one session with the openness, trust and compassion of an experienced healthful living consultant. Create healthy communication amongst family & friends. Discover healthy eating habits for your specific needs. Cultivate daily routines that serve your highest & truest self. Kaitlin will meet you at the convenience and comfort of your own home. She will help you by consciously going over your kitchen, cabinets and personal hygiene-educating you on how to move towards a more healthful lifestyle. Replenish your living space with healthy items to surround yourself with. Bring attention to products that cause irritation, disease or sickness in the body. Allow a flow of energetic bliss to be felt in your home- the home that brings nourishment to your soul. Make your business a more mindful and conscious workplace. Kaitlin enjoys brainstorming ideas for efficiency and success. Sort through things, people or routines that stagger your success. Bring a polished sense of accomplishment to each workday. Create new space and functionality to your workplace. and medicine be your food."